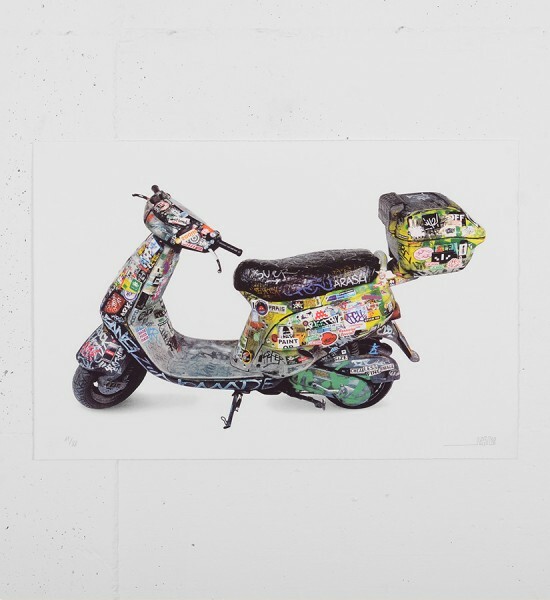 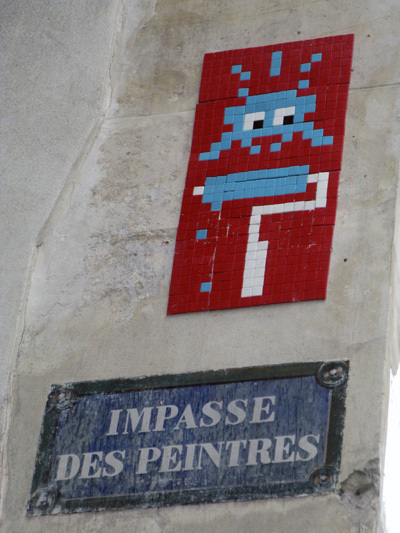 Born in 1969 in Paris. 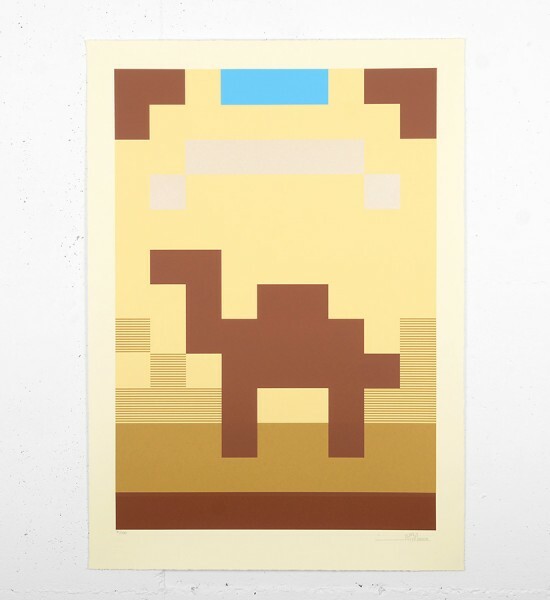 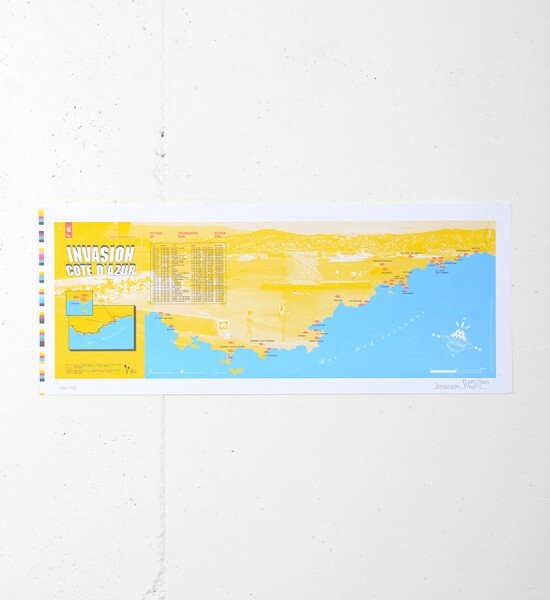 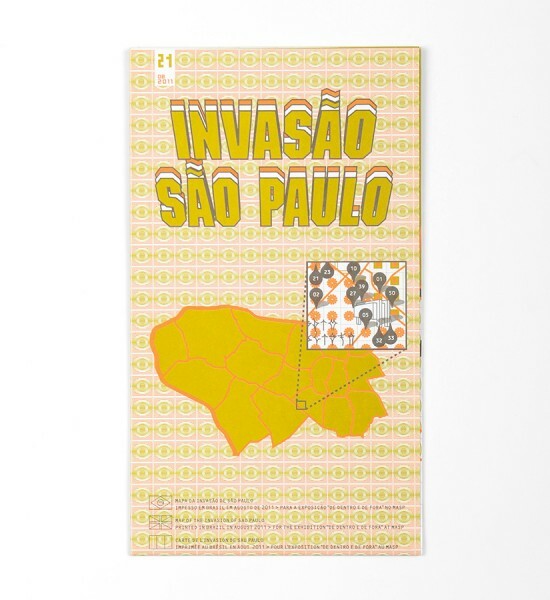 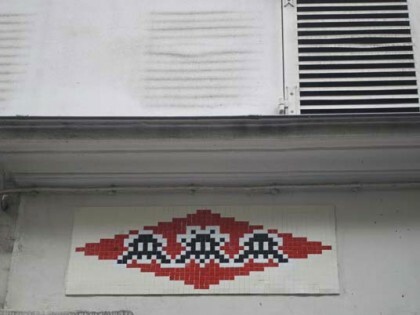 Invader was born in 1969 near Paris. 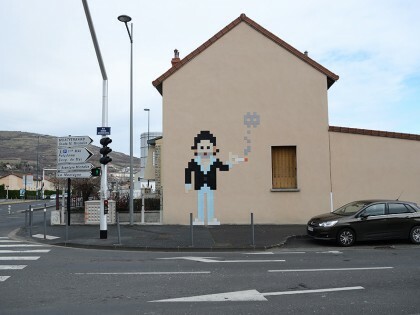 He studied at the Fine Arts school in Rouen. 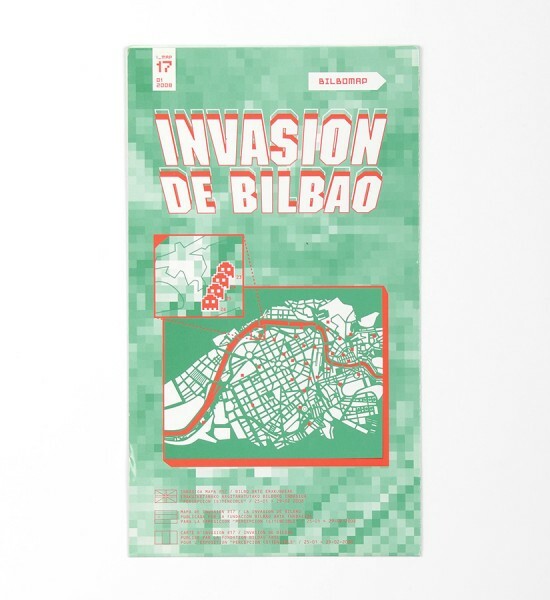 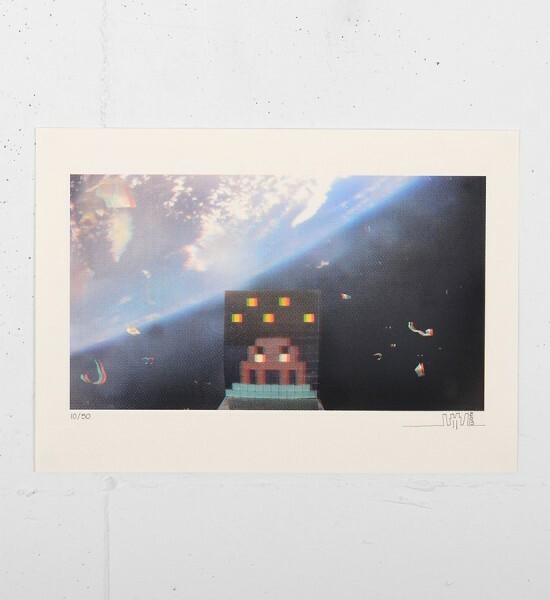 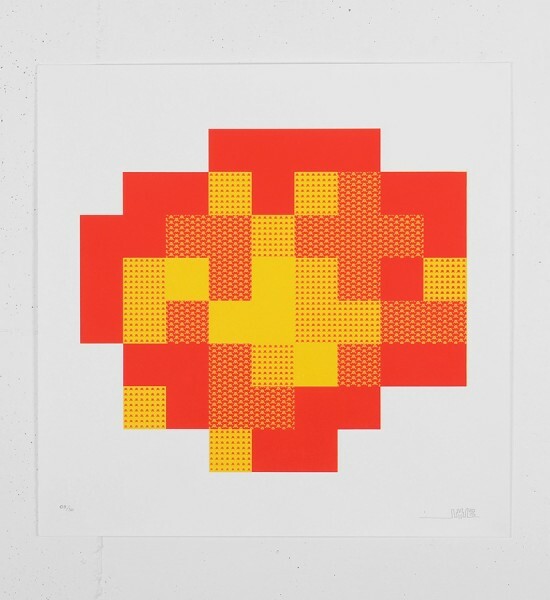 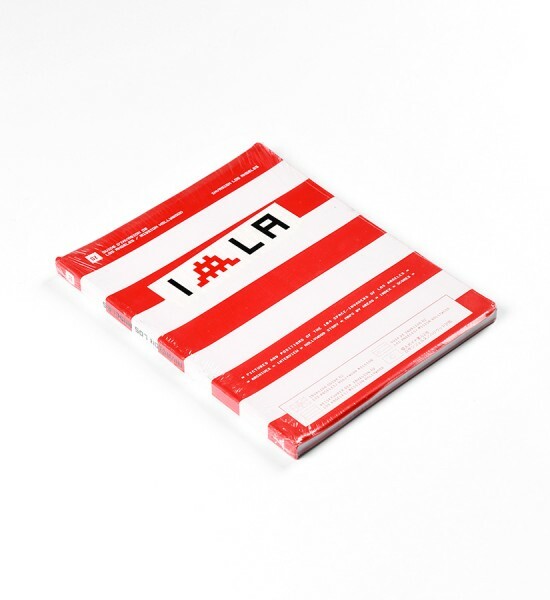 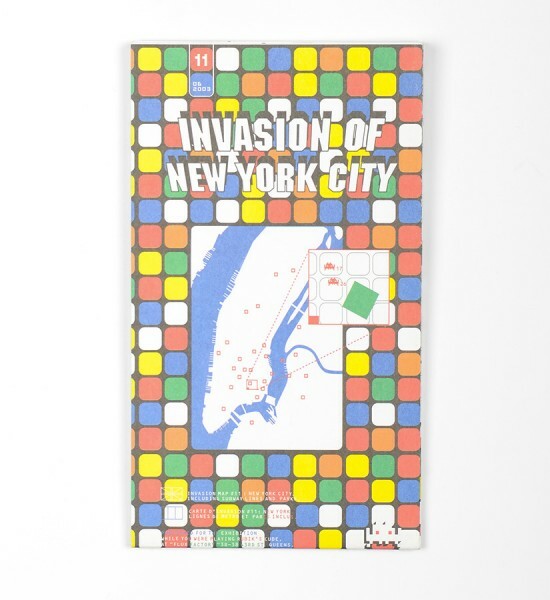 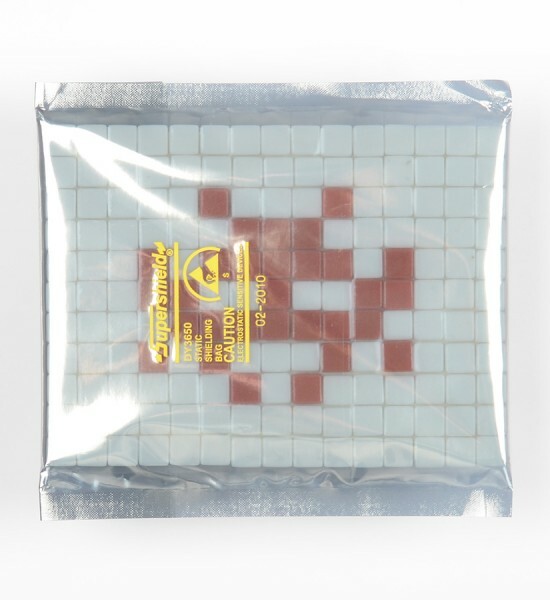 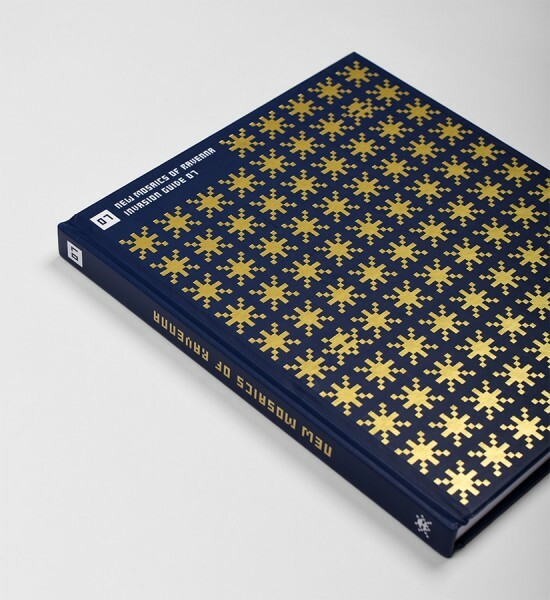 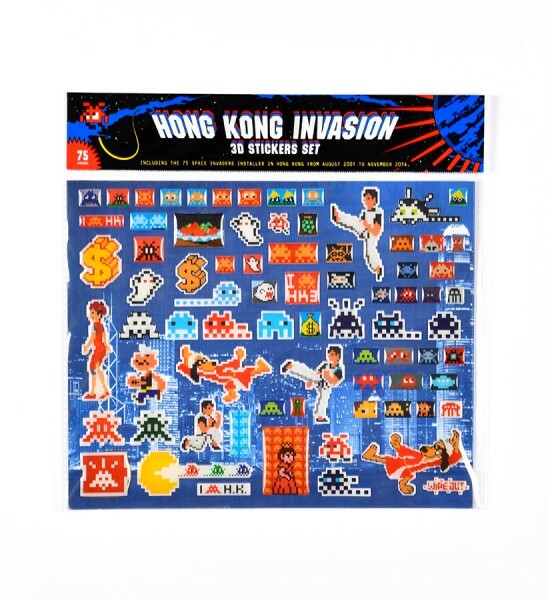 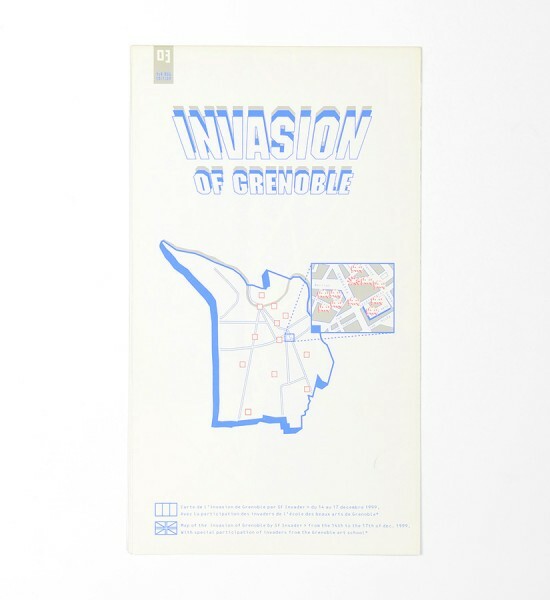 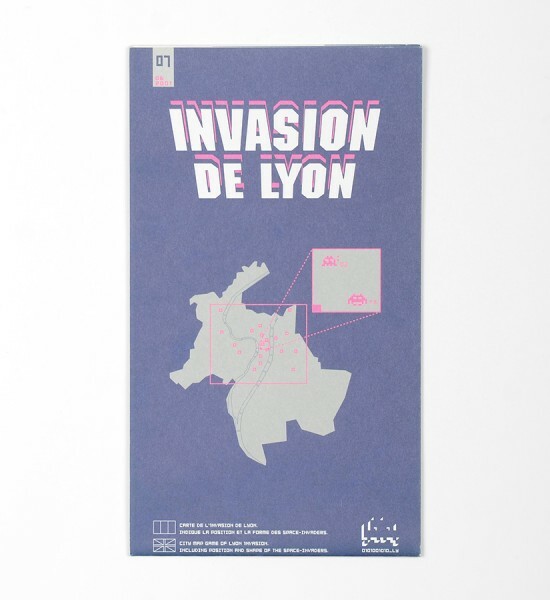 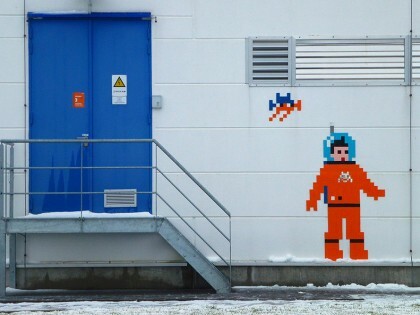 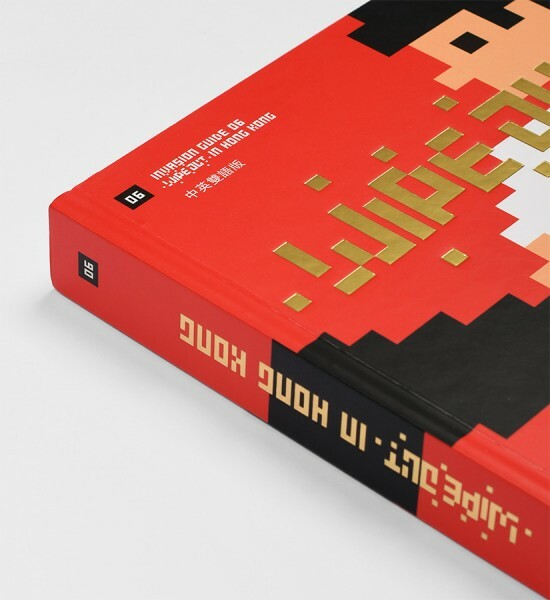 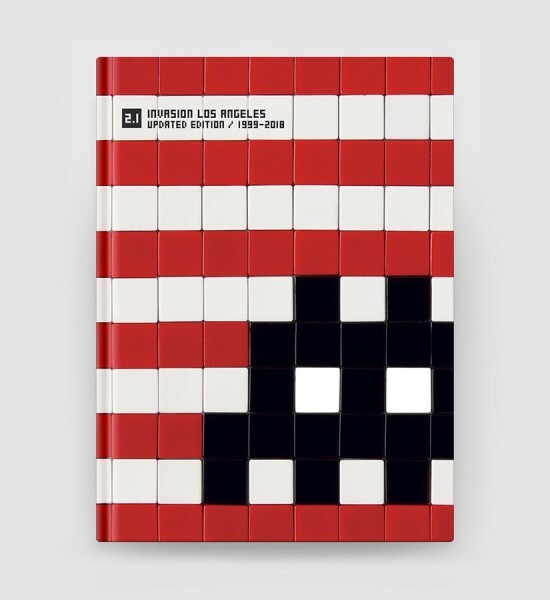 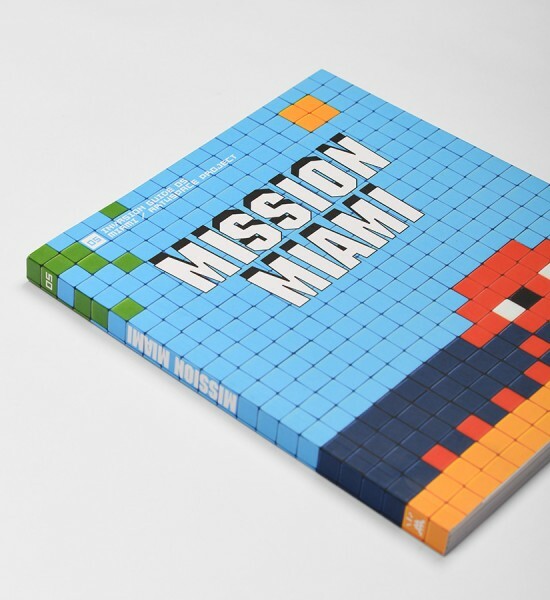 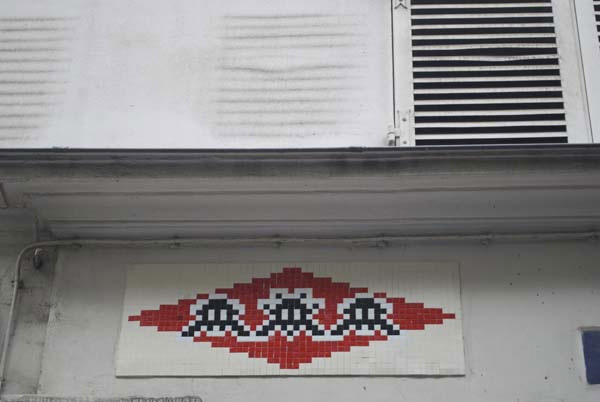 In 1998, he started his “Invasion” with a project entitled “Space Invader”, revisiting the universe of the famous video game of the 1970-80s. 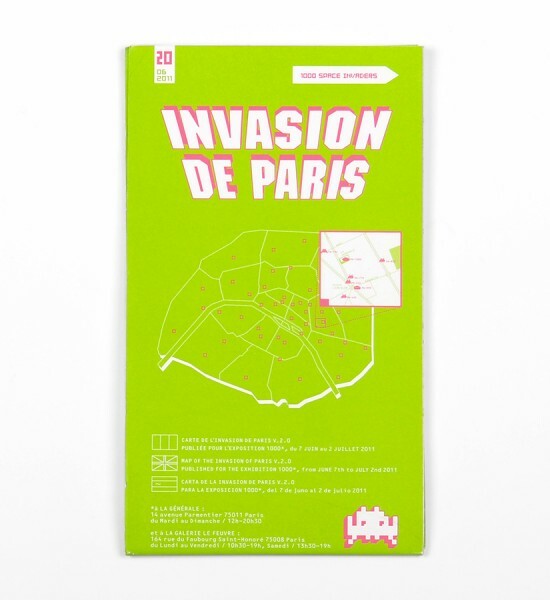 He has worked all around the world: Paris, London, Milan, Berlin, Tokyo, Hong Kong, Bangkok, Istanbul, Los Angeles, Sao Paulo, Barcelona, etc. 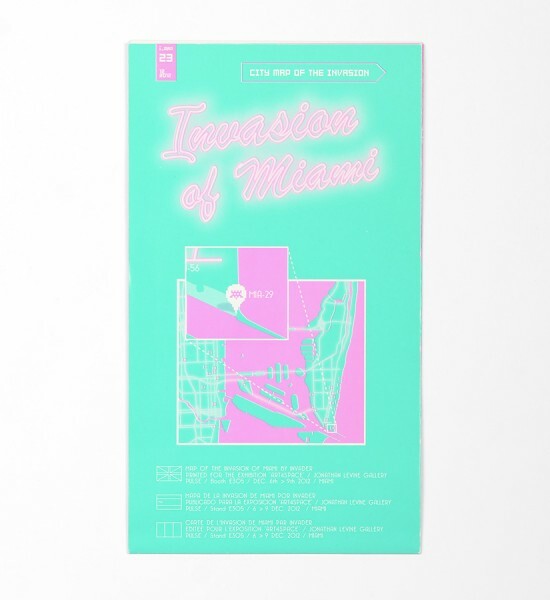 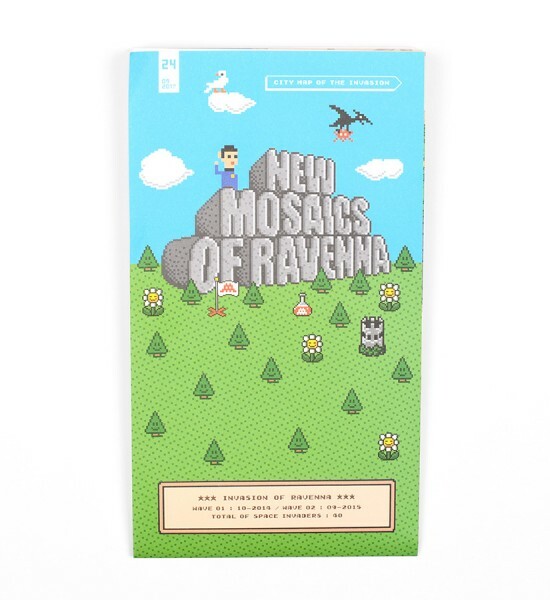 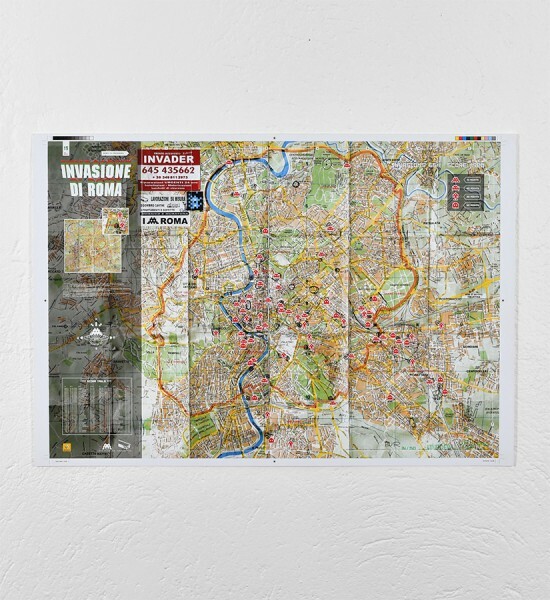 He lists them on a map available on its website. 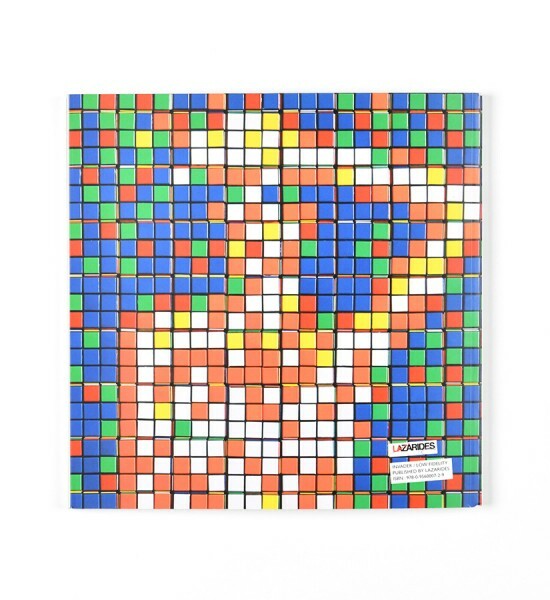 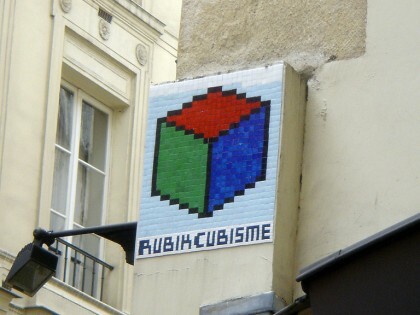 Since 2005, he has been developing his “Rubickubiste” project using Rubik’s Cubes, giving a 3D aspect to his creations. 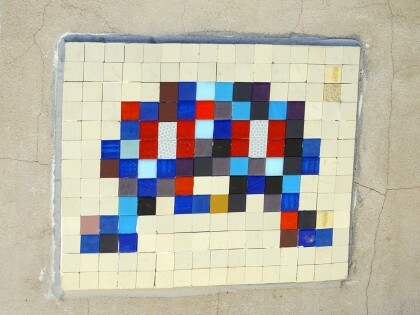 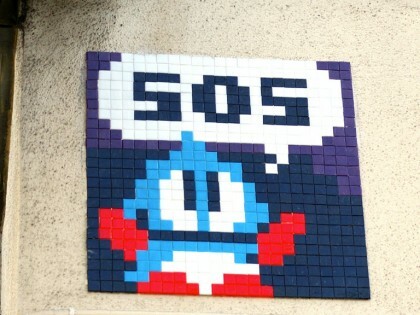 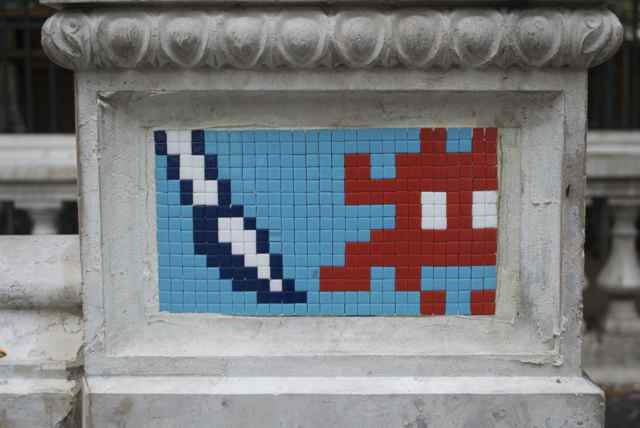 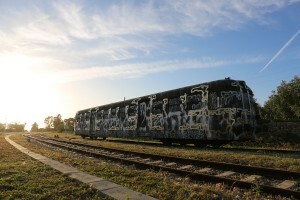 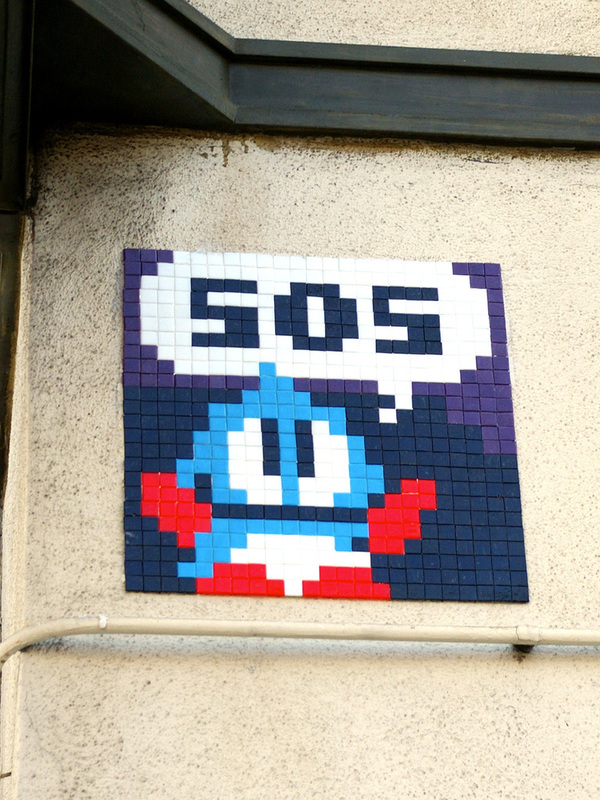 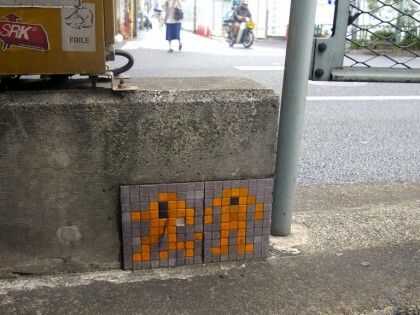 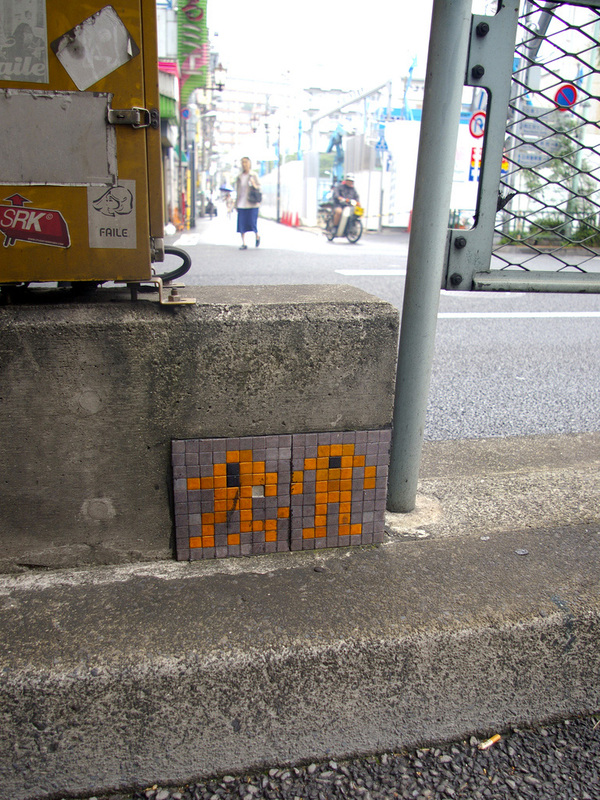 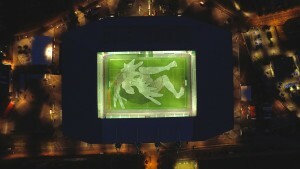 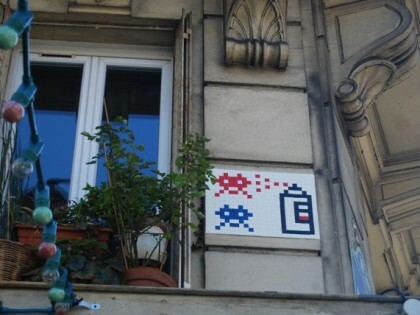 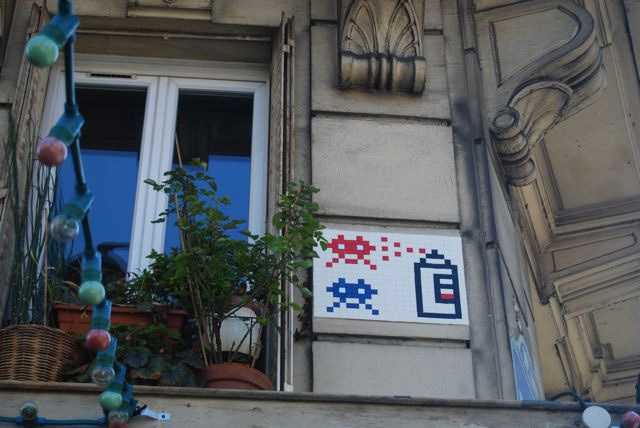 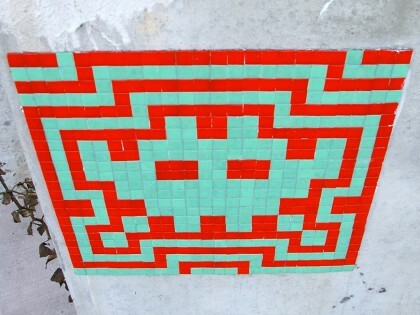 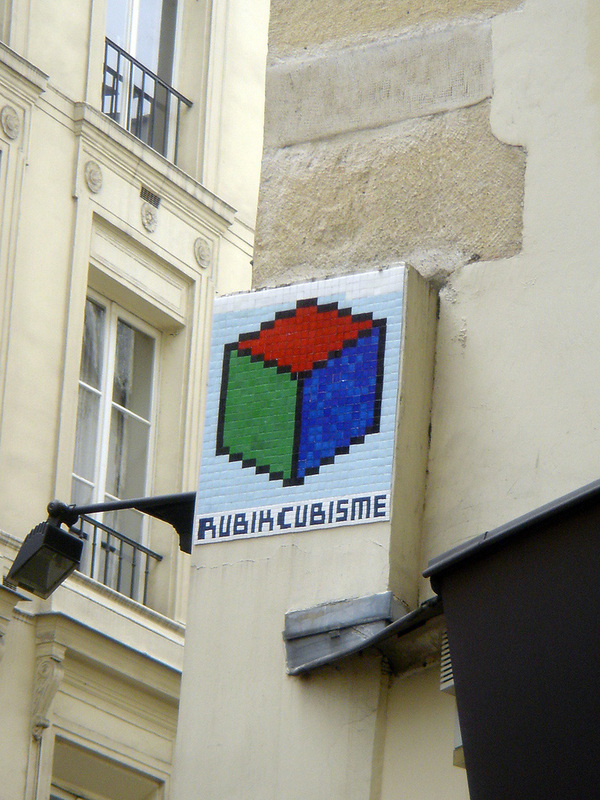 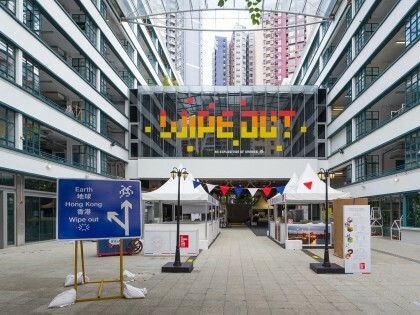 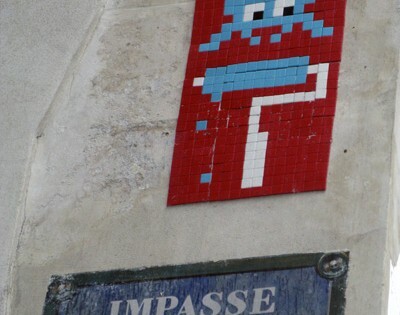 His has done quite a remarkable work – in June 2011, he placed his 1000th Space Invader in the street. 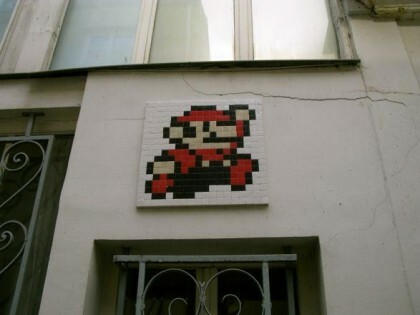 Since then, he has continued his invasion freely, using bigger tiles. 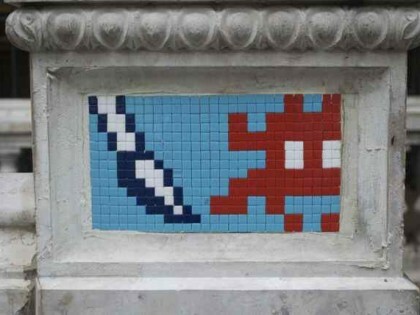 “Invader” à la Citylights gallery, Melbourne.